Marvel Comics have some amazing characters they have invented. Some of my favourites and I bet some of your too. The likes of Spiderman, all the X-men, the Hulk, Captain America, Thor, Iron man and the list goes on and on. I have included four of the best here, the ones most people will know about. But which one is your favourite? Is Spiderman the one who gets your vote? Spidey is another firm favourite with superhero fans. He differs from the above superheros in that Peter Parker is probably someone most of us can relate to more. He starts off life as someone whose life is a little hard but trying to do his best. He lives with his Aunt and Uncle who bring him up to be a good human being. Both are hard working and caring individuals. Peter is a geeky character who finds it hard to talk to girls and is also a little awkward in social conditions. His life changes dramatically with a few events that happen to him over a short amount of time. First a bite from an irradiated spider changes him forever, giving him incredible powers that allow him to be more like a spider than human in that he can climb anything, he also has super strength and he can also shoot spider web from his wrists. The second thing that changes his life forever is the murder of his Uncle. Peter is wracked with guilt about this as after a wrestling match, which he is now doing to make money on the side because of his super strength, he allowed the murder to escape. When he lies with his uncle as he dies, the last words that he hears from him, and the words that will now define his destiny are "with great power, comes great responsibility"
From that day forward, Spiderman is invented and he fights crime and injustice. His confidence grows because of this and, it is great for all us geeks out there, when he gets the girl. Will Wolverine get your vote for the best superhero? Wolverine, was born james Howlett to a wealthy family but spent most of his childhood bedridden due to being very sickly. A massive emotional trauma of seeing a friend shot caused his mutant abilities to manifest in the form of six bone claws which he used to kill the person who shot his friend. He was wanted for murder so he changed his name to Logan. He fell in love after he disappeared but she was killed by another mutant. He went for revenge but was easily defeated by Sabretooth. He was trained up in martial arts after that so he could hunt her killer down. Because of his healing ability he was picked for an experiment to change him forever. 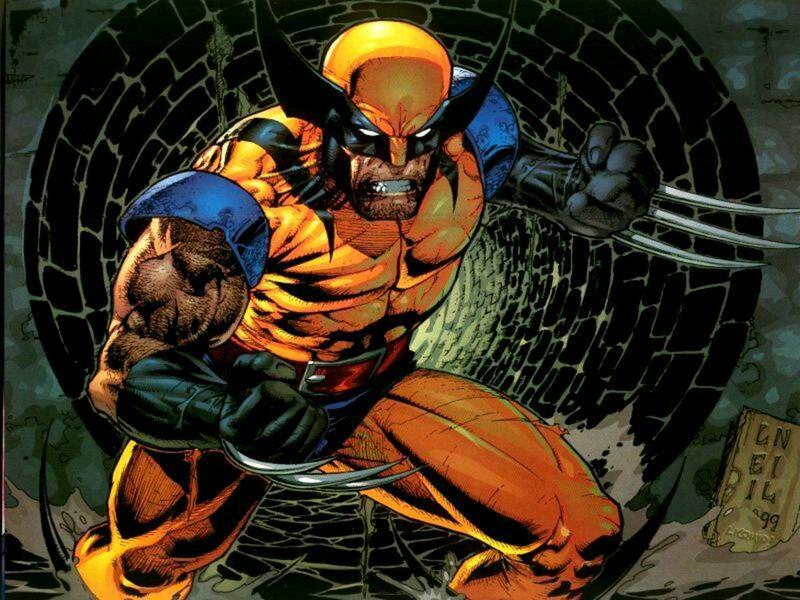 Adamantium, an indestructible metal, was bonded to his bones and therefore his claws. They sought to control him by mental manipulation but this failed and Logan fury allowed him to break free but this left him with no memories of his past. Professor Charles Xavier and his X-men found and saved him. 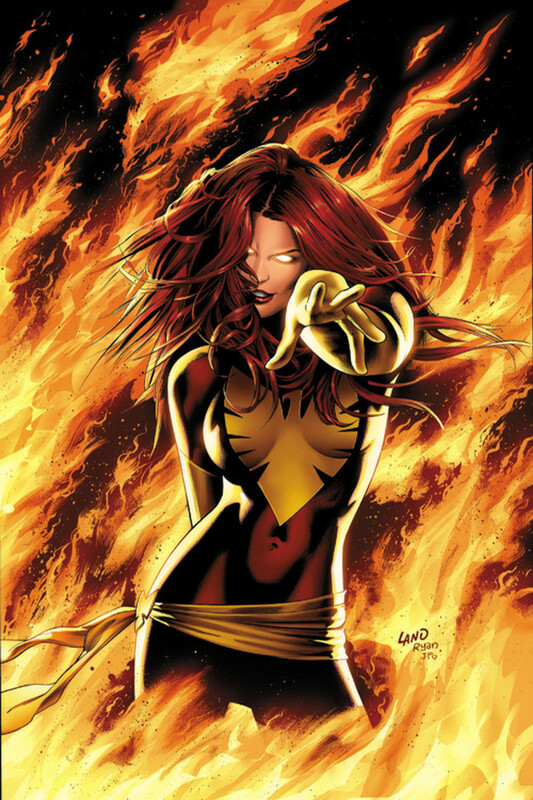 Although his natural aggressive nature was against this help his attraction to another mutant, Jean Grey, allowed him to change his mind. His anamalistic nature gives him a fierce and protective loyalty and has became one of the most powerful X-men to fight against renegage mutants and frightened humans alike. Or is Hulk your favourite superhero? The Incredible Hulk is a large green humanoid that has superhuman strength and is pretty much invulnerable to most things thrown at him. 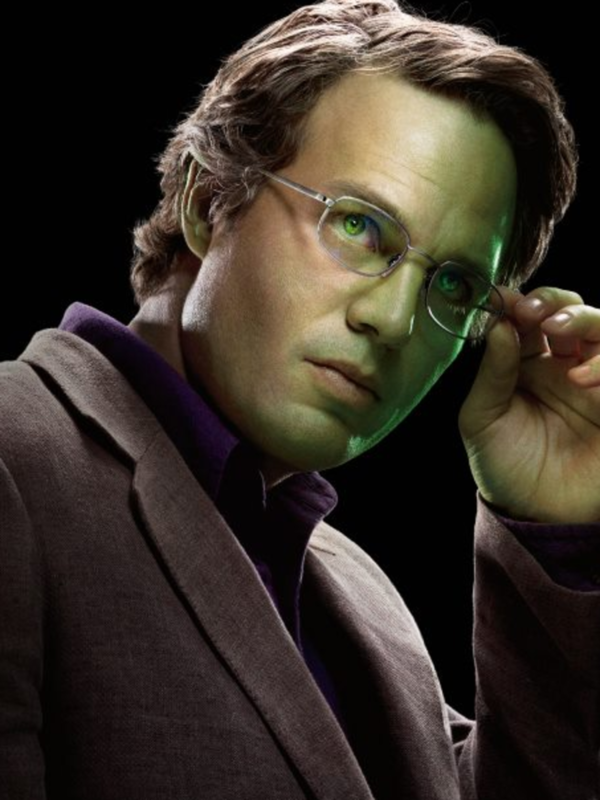 Bruce Banner, a socially inept and yet brilliant scientist, tried to recreate the super soldier serum which created Captain America decades before. However, with high exposure to gamma radiation instead of vita-rays resulted in the creation of the Hulk. When he gets angry the transformation takes place. "Don't make me angry, you wouldn't like me when I'm angry!" Since then his life has taken many twists and turns but, because Bruce Banner is a good person deep down, the life of the Hulk seems to try to help innocent people as well as try and escape the attentions of the army at the same time. It is the early 1940s and Steve Rogers was a scrawny fine arts student. Appalled at the Nazi attrocities going on Steve attempts to enlist in the army. He fails the physical requirements so he volunteers for a scientific experiment to create the perfect soldier. 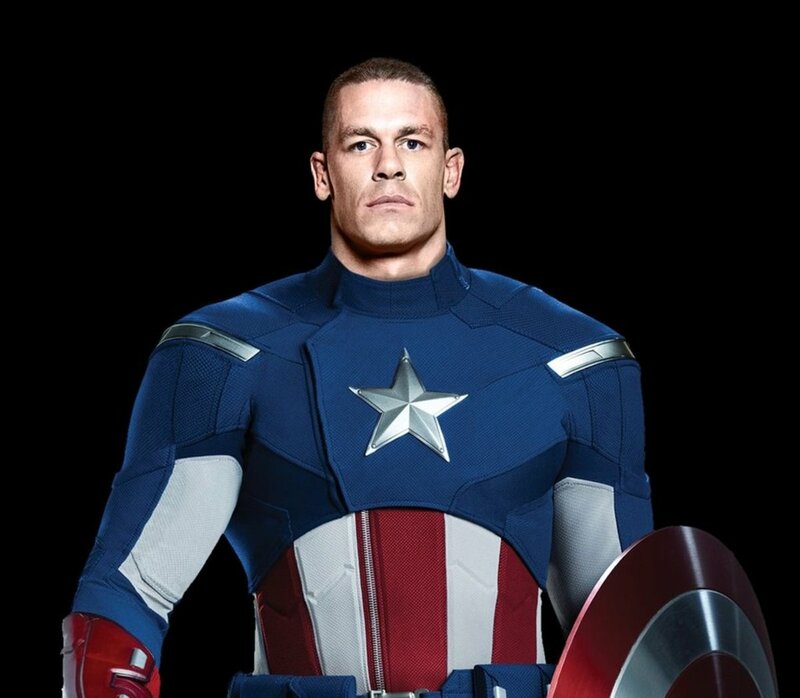 After injections of the Super Soldier Serum and bursts of Vita-Rays he is altered physically forever to a superhuman with greater strength and reflexes. 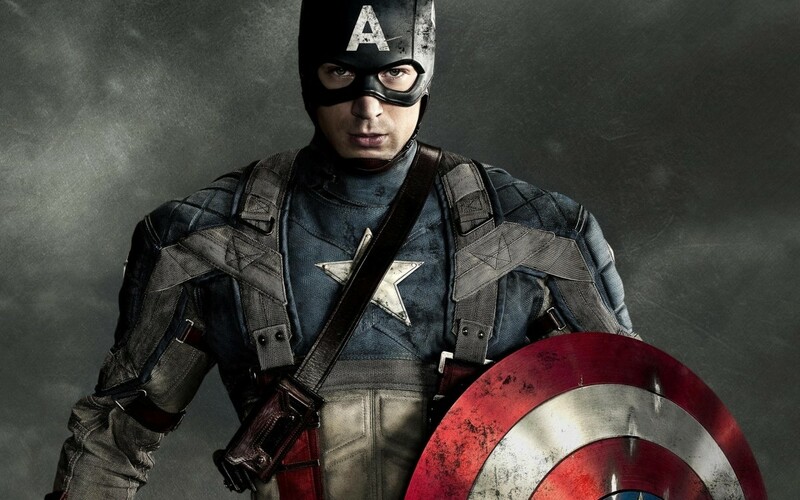 He designed a uniform based on the America flag and was given a bulletproof shield, and Captain America was born. Since then he has been fighting for the American ideals and everything that is good in the world. Does Ironman get your vote? Billionaire, Tony Stark, created weapons of mass destruction until he was captured by terrorists. They tried to force him to create a weapon of mass destruction so they could win the war. Instead he created a suit of power armour to escape. Even though he was injured in the fight for his survival he did escape and return back to America. With unlimited resources that comes with being a billionaire he set forth changing his company and what they do for the world. At the same time he perfected his armoured suit for himself. 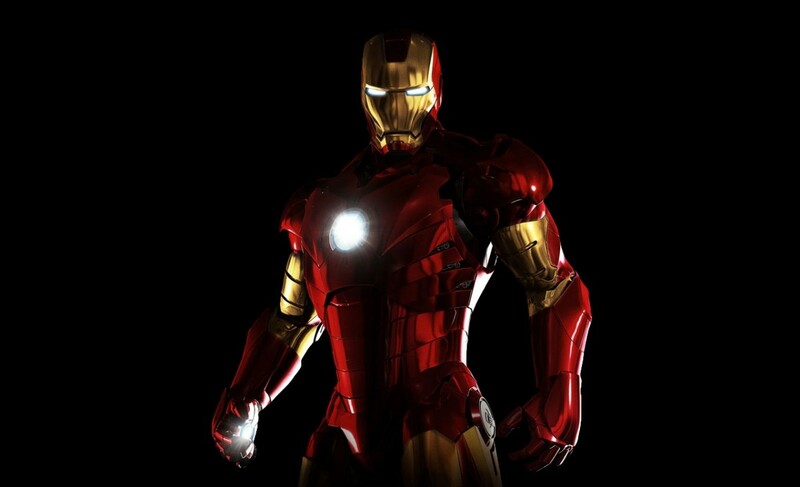 With this he vowed to protect the world he helped to endanger and thus Ironman was created. 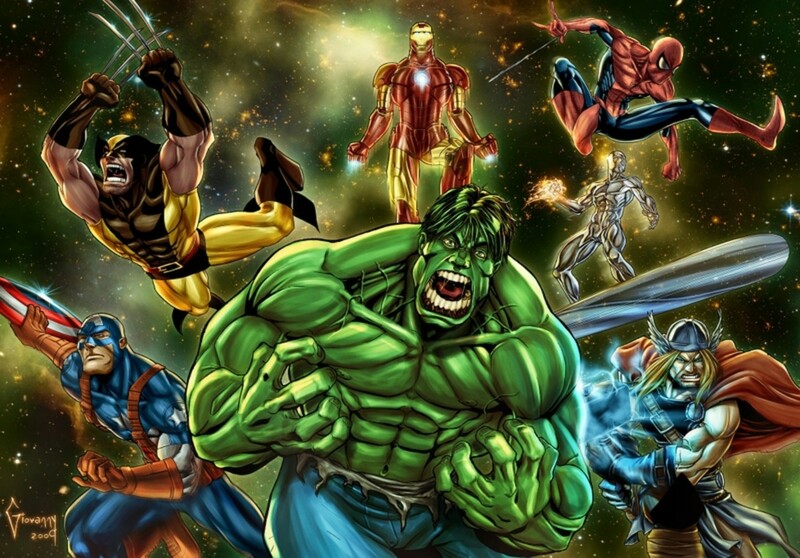 Who is your favourite Marvel Comic superhero? Marvel Comics have created lots and lots of characters that I could have included in this poll, but I believe I have included five of the most famous and liked superheros of all time. You have read a brief history of each, and seen pictures to remind you who they are, so now it is your time to vote. So who is your favourite Marvel comic superhero? My personal favourite is Wolverine; I love this moody and aggressive man who can deal with anything that is thrown his way. Wolverine and Hulk are my guys. 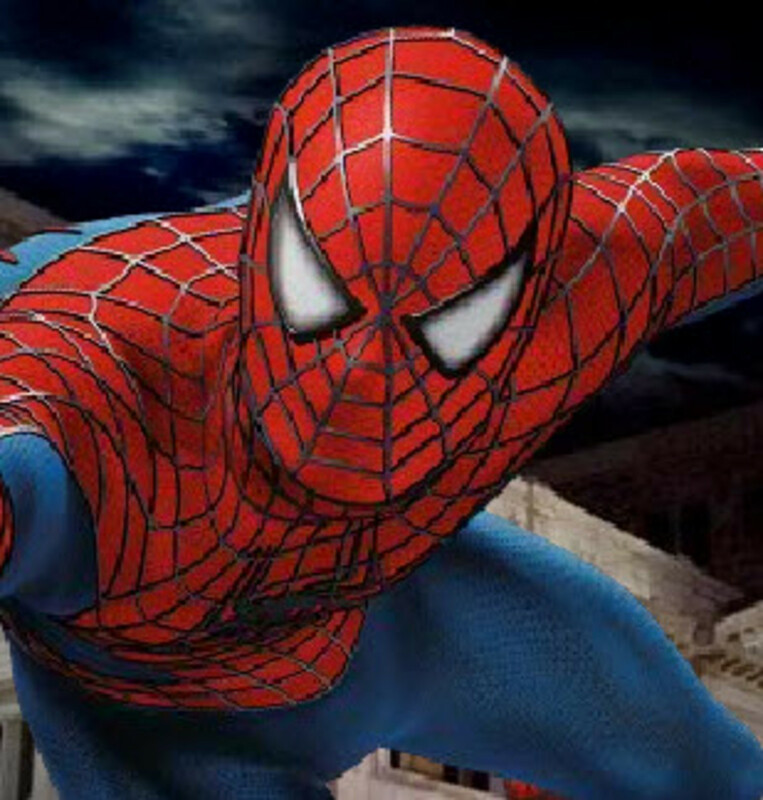 Spiderman gets an honorable mention because of how much he meant to me in my youth. Nice short summary on the characters. Spider-Man has my vote for all time favorite hero.